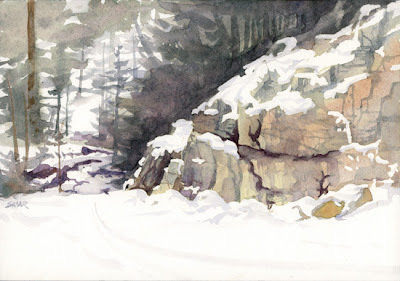 This is a pencil and watercolor sketch from a recent XC ski outing along Icicle Creek Road, near Leavenworth, WA. Beautiful Al. Especially the light on the rocks. Nicely done! Very pleasant to look at.